I thought that since this was a fresh chain account names would not transfer over, is that not the case? If we're supposed to keep our account names then I too am missing them after importing my keys..
Is everyone having issues claiming funds with windows release? That was a last minute fix. I am having issues claiming my balance as well. I imported my json key file with no problem. When I go to the Claim Balances page, my balance and account show up on the listing but the "Select Account" dropdown does not contain my account name. I can mark the checkbox next to my account balance but the Claim Balance button stays disabled so I am not able to actually claim the balance. I have tried reloading multiple times and even exiting and reopening the application and nothing seems to work. Alright so I fixed my issue. The issue appears to have been that I had created a wallet but not an account. Once I created an account, I was able to claim my balances. Not sure if it matters but I created an account with the same name as my original account from the 0.9.3 wallet file that I was importing. i just to understand better how to import notes buyed in IPO. did you buy notes in IPO? I did, and those notes showed up in my 0.9.3 bitshares wallet. 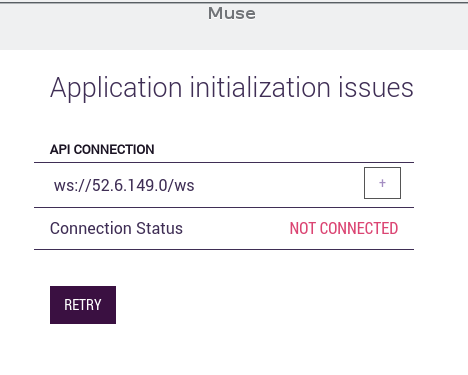 I exported those keys and imported the .json file into that new Muse wallet and now they are showing up in my Muse wallet. Did your notes show up in your bitshares 0.9.3 wallet? i used dumpprivkey <bitcoinaddress> who reveals the private key corresponding to <bitcoinaddress>. i click on "DONE" and i get a blank page. no tips to fix this issue? Can we register premium names somehow? I haven't managed to claim my balance yet though! I think it's because I have too many keys. I had problems too but I followed these instructions and reduced my keys from 66k to something like 300, it was really easy after that! I hope you adapted the guide for use with the MUSE genesis file. If not, unless you're lucky, you're probably missing some balances. You need to change the genesis file of course, and also to replace GPH with BTS and BTS with MUSE in one of the scripts iirc. I guess I was lucky because nothing is missing. I don't know if my first failed attempt will all the keys helped in any way but I'm ok now. This gave me the dreaded blank page of death. FYI, private key used above is fake (from bitcoinwiki page). there is something who i'm not understanding! 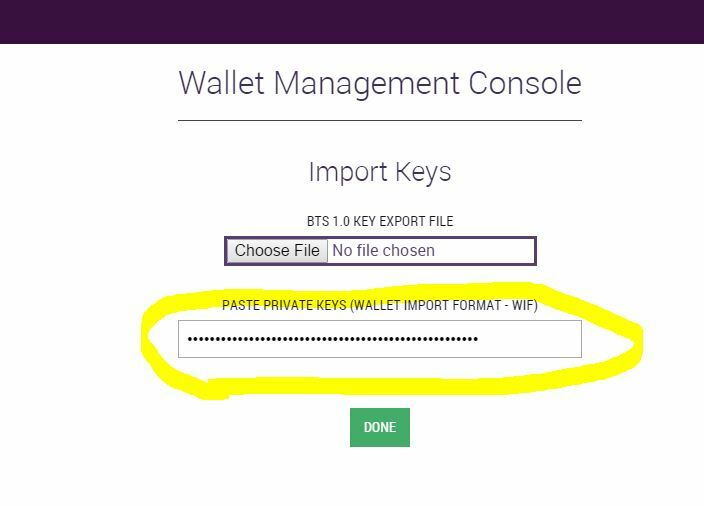 how to export in Base58 format from qt-wallet? and i have not blank space in the string!!! can you help me to understand!!! For private keys associated with uncompressed public keys, they are 51 characters and always start with the number 5 on mainnet (9 on testnet). Private keys associated with compressed public keys are 52 characters and start with a capital L or K on mainnet (c on testnet). I'm not a bitcoin expert but I think you want the private key type that begins with the number 5 and is 51 characters in length. Not sure if Muse handles importing both formats. Maybe someone else can verify. FWIW I exported from an Armory wallet. how do you get 51bit Base58Private key from your wallet who start with "5"? i'm able to extract just 52bit private key who stars with "L" or "K"!!!! "BLOCKCHAIN IS OUT OF SYNC, PLEASE WAIT UNTIL IT'S SYNCHRONIZED.. Head block #105068 1 hour ago"
I clicked the retry when this happed to me. Also had the same thing happen with the BTS 2.0 wallet. Both worked after I hit Retry. You can't create an Account Name using vowels?